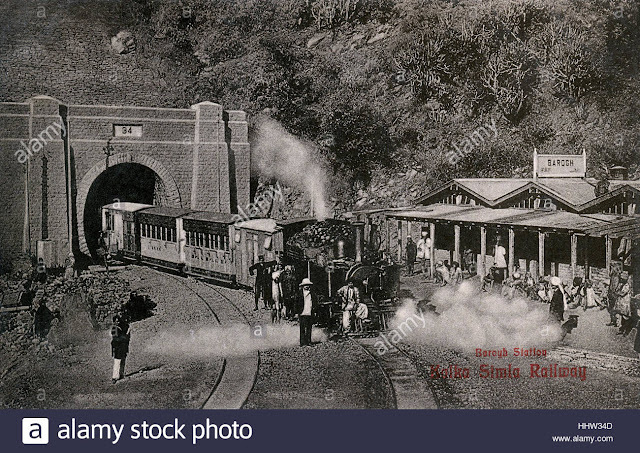 The Indian summers were unbearable for the officers of the East India Company and they used to shift their headquaters to Shimla to escape the extreme heat of the months of May to July.There was no hill train and the journey on horseback used to take about a week. When the Sepoy Mutiny started in 1857 the urgent telegraph sent to the Commander of the Army-then holidaying in Shimla-was seen after 3 days and it took him another 2 days to realise the gravity of the situation. he rushed back to Punjab and reached in 7 days. 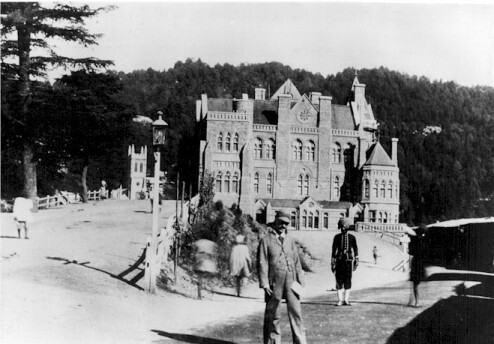 The British Army came in , quelled the mutiny and established the British Rule in India However the Indian summer was still the same and the Viceroy along with his whole Government had to shift to Shimla in the summer months. 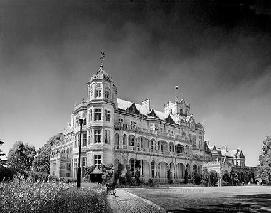 Shimla became the official summer capital of British India in 1864. The shifting of the capital was a much anticipated event and the high and the mighty would shift for 3 months of fun , frolic, and general enjoyment.It was the time for balls,parties and festivities with people attending a minimum of 3 to 4 parties everyday starting at 2PM going upto 2 am. It was difficult to travel on horseback for 7 days and also keeping in mind the lesson learnt during the Sepoy Mutiny it was decided to biuild a hill train from Kalka to Shimla. This is what the train and Barog station looked like when it started. The current day Barog Sation looks like this. 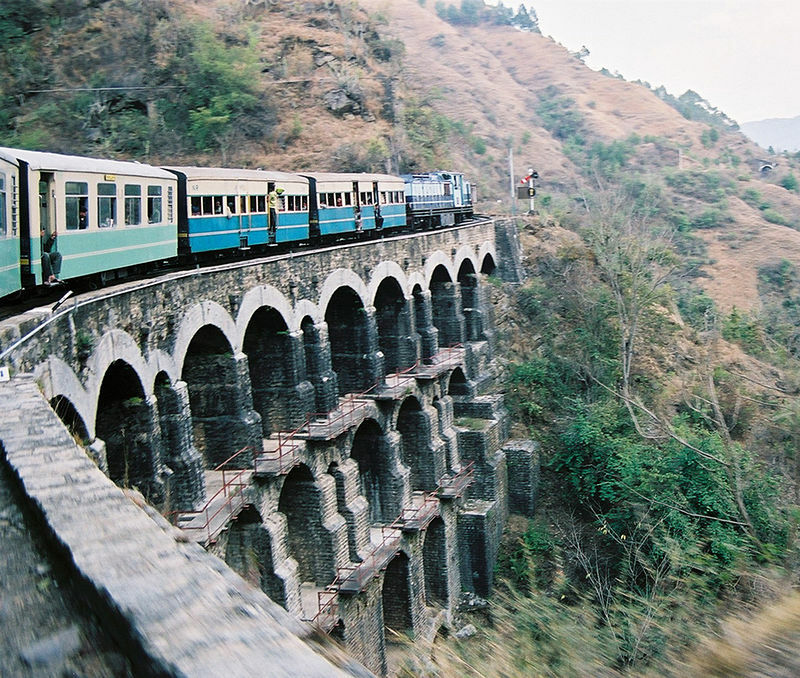 The Kalka–Shimla Railway is a 2 ft 6 in (762 mm) narrow-gauge railway in North India travelling along a mostly mountainous route from Kalka to Shimla. It is known for dramatic views of the hills and surrounding villages. The Kalka–Shimla Railway was built in 1898, to connect Shimla, the summer capital of India during the British Raj, with the rest of the Indian rail system. At the time of construction 107 tunnels and 864 bridges, were built throughout the course of the track. Opened in 1898 the construction was quite robust and the same bridges are still being used today. It is an extremely enjoyable ride for the first time and should not be missed under any circumstances.Infact it is now an UNESCO Heritage site. The detailed history and information about the Railway Line.